Often cited as the world's oldest licensed whiskey distillery, The "Old Bushmills" Distillery has been legally producing Irish Malt Whisky since 1608 when Sir Thomas Phillips was empowered to issue licenses by King James I. 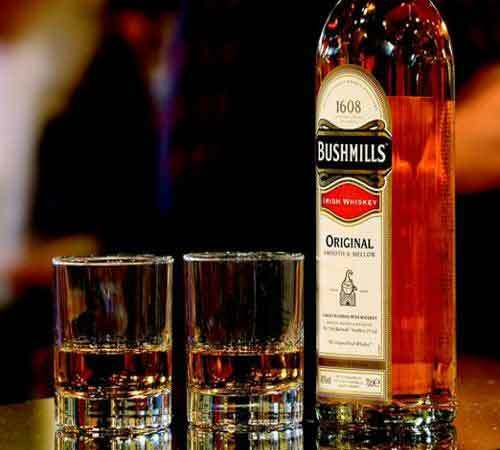 Located in the town of Bushmills along the banks of the River Bush, the distillery still produces whiskey under the Bushmills brand to this day. Tours of the distillery – and tastings – run daily and last around 45-60 minutes. Children over 8 years of age are welcome to take the tour but unfortunately can't taste the whiskey at the end. The visitor's centre is open Monday to Saturday 9.15am to 5pm and Sunday 12pm to 5pm. The last tour each day leaves at 4pm.